Ruth Louise Epperson Seabolt was born on January 13, 1928 on a Friday to Bill and Mary Ellen Force Epperson in Boynton, Oklahoma. She passed away Monday, December 3, 2018 at her home. She attended all of her school years at Boynton Public Schools. She was preceded in death by her husband of 58 years, Floyd, who passed on November 29th, 2014; along with her parents; brothers, Junior and Jack Epperson; infant sister, Carolyn; sister, Wilma Jean Lovelady; son, Jearl Albert Dillard; and grandson, Kevin Dillard. 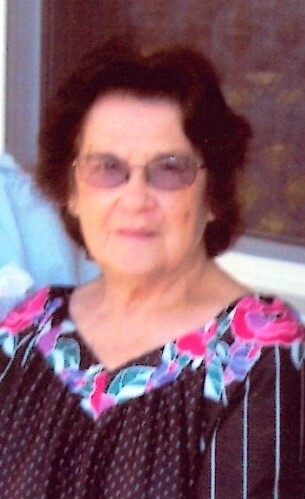 Louise is survived by her son, Carroll Dillard and wife Darlean; daughter, Patricia Gail Parker and husband Dale; brother, Carl Epperson and wife Joyce; sister, Shirley Ann Bever and husband Jim; sisters-in-law, Anna Epperson and Wilma Epperson Smith; grandchildren, Jacob, Toni, Tana, Sherry, Stacie, Missy, and Jessica; 14 great-grandchildren; 5 great-great grandchildren; two special cousins, Corene Curtis and Delsie Haley; aunt, Florine Wheeler; along with many nieces, nephews, other family members and friends. The family will receive friends from 5:30-7:30pm, Thursday, December 6, 2018 at Cornerstone Funeral Home. Funeral services celebrating Louise’s life will be 9AM, Friday, December 7, 2018 at Cornerstone Funeral Home Chapel with Mrs. Linda Sizemore officiating. Interment will follow at Fort Gibson National Cemetery. Pallbearers will be Dale Parker, Kerry Legarda, Shannon Prophet, Sherry Morris, Jacob Tinsley, and Larry Keese. The family would like to express a very special “Thank you” to the staff of Encompass Home Health and Compassus Hospice for the care and compassion shown to Louise. In lieu of flowers, the family suggests memorials be made to the Alzheimer’s Association, 225 N. Michigan Ave., Fl. 17, Chicago, IL 60601 or online at www.alz.org.